Beginning their PBL class research, Ms. Kuhn's 1st grade class began by reading "If I Could Build a House." 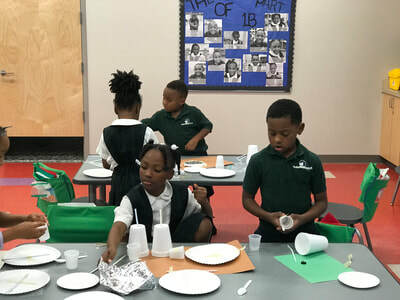 In the story, a boy imagines a futuristic home that he builds for himself. 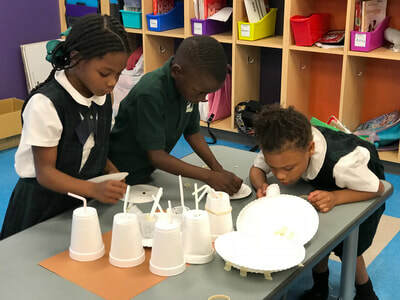 The 1st grade students worked in groups to build their own houses using the materials provided. 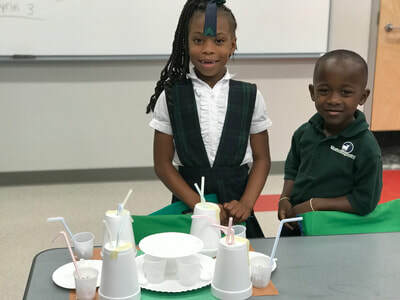 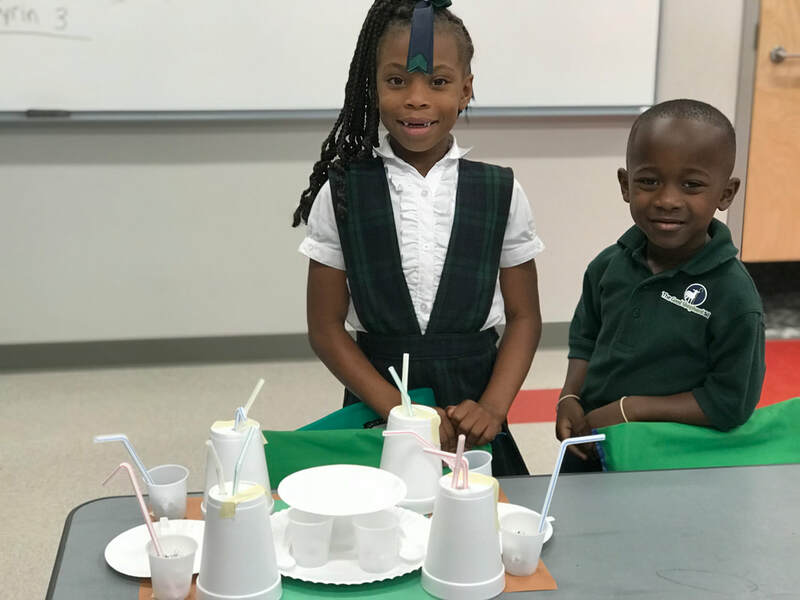 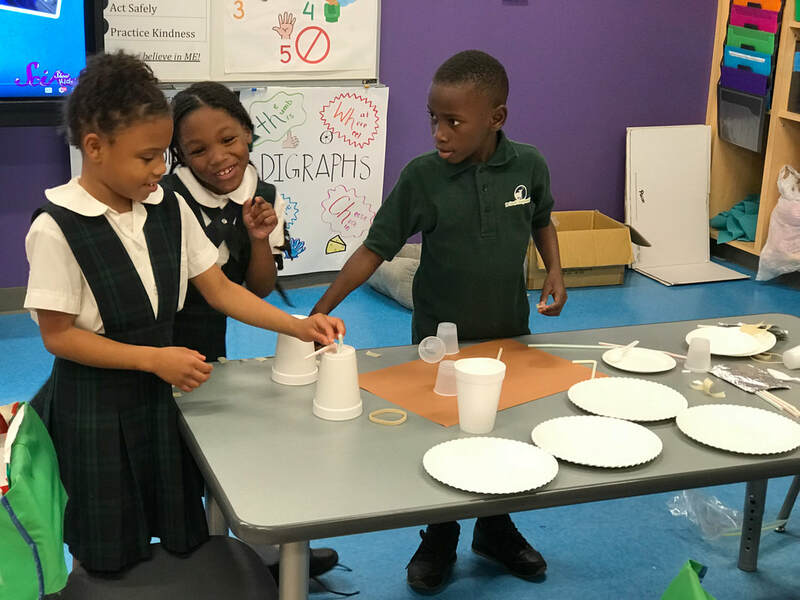 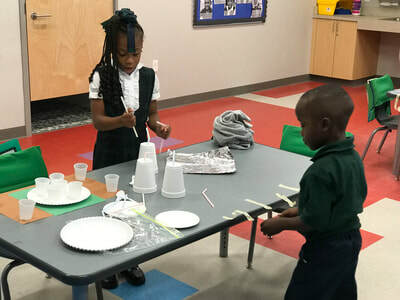 They worked together to build a model using cups, rubber bands, straws, and other classroom materials. 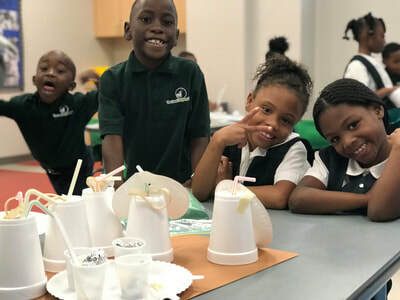 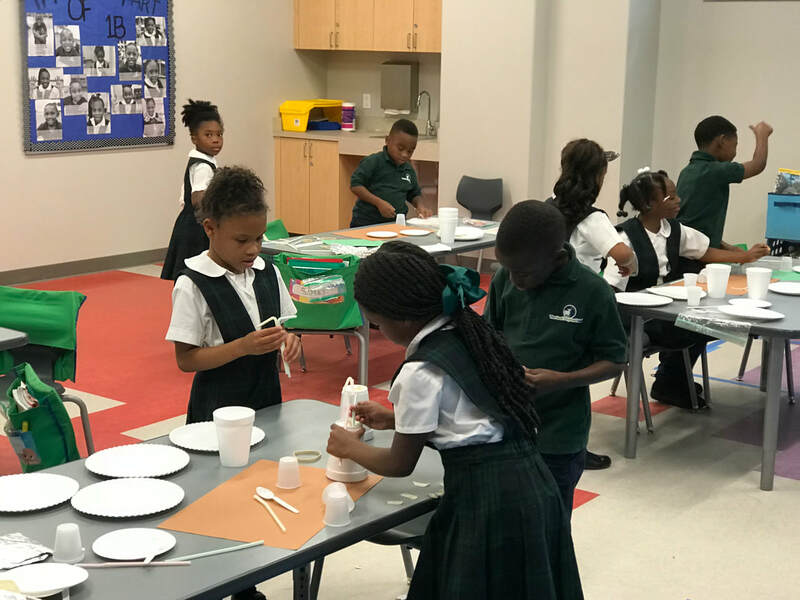 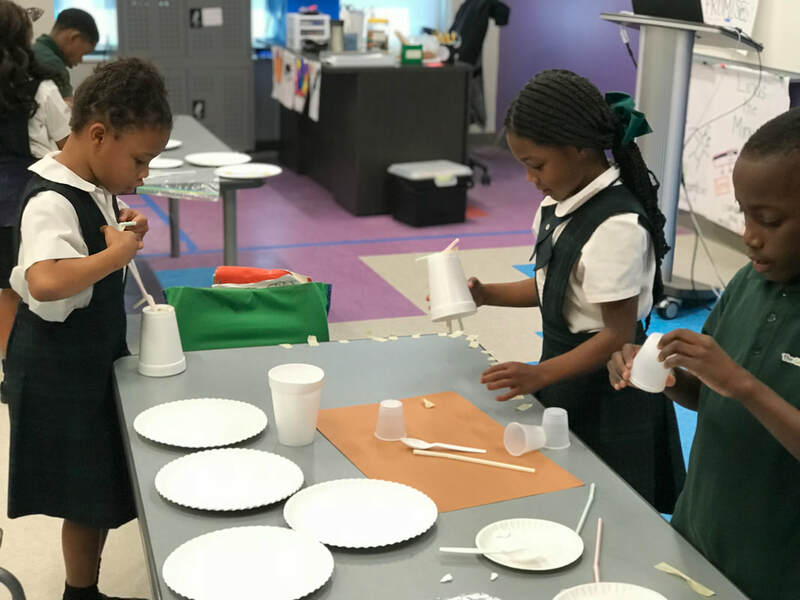 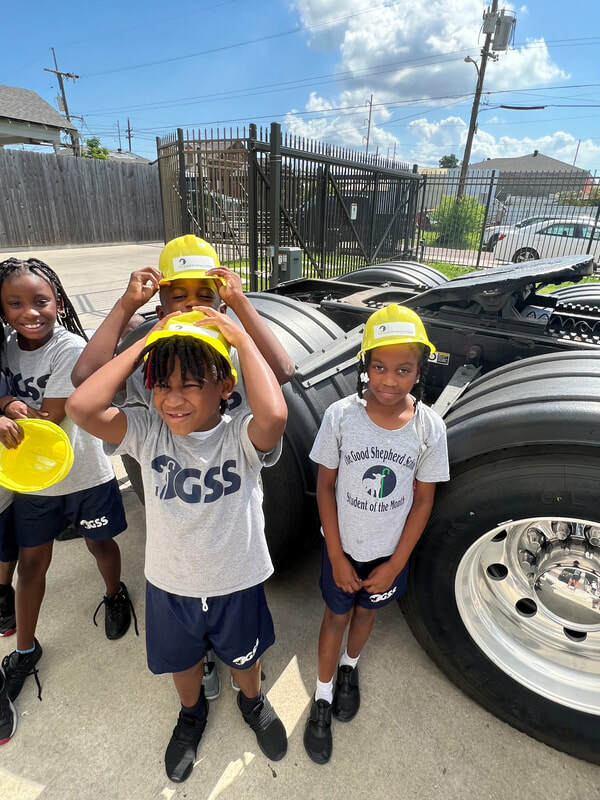 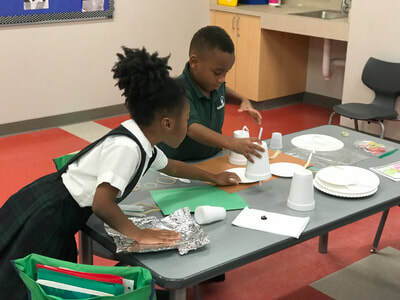 Students used their imagination to build very creative houses, some of which included an ice cream shop, a rocket ship room, and a water slide. More 1st grade PBL coming soon!